The Cobra GT40 Club of KwaZulu-Natal based in Durban was formed in 1991 by a group of enthusiasts who owned, or were building, one of the Cobra or GT40 replicas. The idea of the club is to get like-minded enthusiasts of the two marques together from time to time to swap ideas and to take part in breakfast runs, car shows and speed trials. The club is family orientated, so wives, girlfriends and children are encouraged to participate. 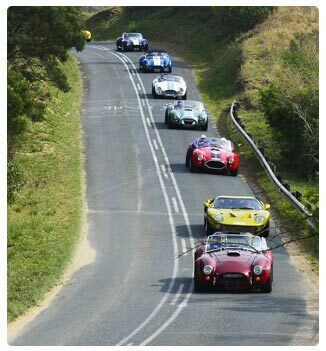 Although the club was formed primarily for Cobra and GT40 owners, any enthusiast is welcome to join with any car and enjoy full participation in the club activities. The regular club get together is the breakfast run held each second Sunday of the month. The club also supports and displays cars at most car shows in the region which are held two or three times a year. Additionally, the club organises the occasional Saturday afternoon ‘Constructors Meeting’. This is arranged at a member’s workshop where a car is being built or restored. It is a social occasion where advice and ideas are swapped over a Bring-Your-Own Braai. Club members are proudly offered club shirts, jackets and caps on a non-profit basis and members can place adverts to sell cars or car parts on this website. The website is sponsored by kind and helpful businesses who sell products appropriate to the cars in the club.